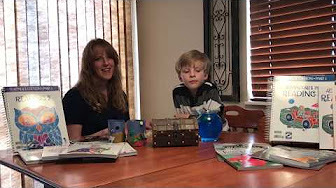 [address] => 7192 Cliffrose Dr.
As a homeschool mom for over 10 years, I have learned how to identify and adapt to many challenges as I disciple and educate my five children at home. I would love to visit with you about your experiences, ideas, and hopes as I walk alongside you in support of your homeschool journey! It is a real joy and privilege to walk alongside each of you during this exciting journey of discipling and educating your children at home! As a HomeWorks by Precept consultant, I am thankful that I can help you with your homeschool questions, help you come up with practical solutions, lend a shoulder, and join beside you in prayer. I am also thankful that I can help you save on your BJU Press Homeschool curriculum as well as provide year-round support and encouragement while you use this scripturally woven curriculum to disciple and educate your children at home. Let us walk this journey . . . together! Click >>> here<<< to watch a short video about how HomeWorks consultants can help you. Homeschooling is a privilege and a blessing! It can also be a challenge! Do you have infants or toddlers in your home? Do you work outside your home or run a home-based business? Are you homeschooling high school students? Do you teach multiple children with multiple learning styles? Do you teach a child who experiences a specific learning difficulty? Do you face health issues or care for others in need of assistance? I have faced these same challenges during my homeschool journey. Knowing that you have support and someone to share your experiences with can be helpful. I have 5 children ranging from ages 5-18. Utilizing a combination of the BJU Press Homeschool DVD distance learning, online distance learning, and parent-led learning affords me time with each of my children. I am also able to address any needs that arise while still maintaining confidence that my children are getting a well-rounded solid Biblically based education that will prepare them for whatever God calls them to! Along with homeschooling our children, I enjoy creating and presenting helpful homeschool workshops, writing, running a local art co-op, and participating in local Christian homeschool group activities. Schedule a casual meetup in your home, church, coffee shop, or other public setting! View the available discounts for events near the bottom of this webpage. See the Facebook invite >>> here. Learn how you can adapt to the challenges we all may face while educating our children at home. during the registration process AND the ordering process. This will allow me to receive credit for your order and also help you with your future needs. If you remember to give my name, I will automatically be emailed a receipt of your order and will send you a $10 Amazon gift card if your order is over $500 before tax. See convention details >>> here. See convention details  >>> here. Don’t see an upcoming scheduled event near you? Unable to attend a recent event? Contact me to schedule one! Contact me to inquire about discount options! Revisit this page for more upcoming scheduled events soon! of other purchases at your event towards your own purchase! Meet at a coffee shop, your church, your home, or other preferred location with your friends. Feel encouraged about homeschooling, get a hands-on look at the BJU Press Homeschool curriculum, enjoy prayer, and fellowship together. Workshops are also available for HomeWorks Events! Gain knowledge and understanding pairing those with compassion to better serve others. teaching all types of learners. Also enjoy tips on homeschooling, homeschool parent encouragement, and fellowship! Keep God in your homeschool. How to organize your homeschool room, your schedule, your day, your meals, and your life! Sign up for a free eBook and monthly Homeschool Newsletter >>> here! current BJU Press Homeschool catalog. Click >>> here <<< to view the Scope and Sequence for an overview of classes. Click >>> here <<< to see what distance learning is like. 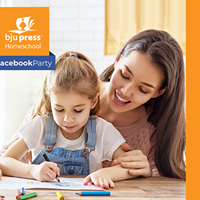 BJU Press Homeschool Distance Learning is a Lease Program. Take the Iowa Assessments™ Form E achievement test online from the comfort of your own home! BJU Press Testing & Evaluation is offering faster results with fewer requirements for Grades 3–12 with online tests. An approved test administrator is provided by the Testing & Evaluation service. ***Choose an adult to proctor the test in the comfort of your own home! Testing will take approximately 4-8 hours over two to three days. More information for online tests >>> here. View online testing dates >>> here. You can also order printed test materials for your student and select a local administrator to test your child. Seek out a local test administrator >>> here. Find out more information about test administrator qualifications and duties >>> here. *Order tests a minimum of three weeks in advance to ensure availability. I am happy to assist with any questions you may have or assist you in placing your testing order when you are ready. Logos Science offers all-in-one laboratory kits that help homeschool educators overcome the difficulty and cost associated with setting up science experiments at home. Logos Science kits are written from a Creation viewpoint and correspond well with BJU Press Homeschool curriculum. We love the JourneyForth books in our family because we can trust that the content will align with our Christian values. You may personally enjoy the adult Bible studies and encouraging books too. I have read several of their age appropriate books with my children and enjoyed a few Bible studies myself. Click >>> here <<< to see a video on VACATION STATIONS. Click >>> here  <<< for a look at BJ Booklinks  which are fun studies of chapter books. Our family loves them. They are included with your distance learning reading orders for grades 1-6. (You will need to order them separately when you order parent- led textbook kits). Want to earn cash for your children’s college? The Study Skills DVD helps them refresh or gain better study habits! With the Study Skills for teens DVD, your students will learn how to schedule the right amount of study time for each class and how to get the most out of a study session. Your junior-high, senior-high, and beginning-college students will discover how to apply these vital study skills at home or in the classroom. BJU Press Homeschool has proven to be an invaluable tool in discipling my children! It focuses on helping children develop their own personal relationship with God, their knowledge of God, and understanding of His world. My children have grown to understand the importance of pairing their knowledge and understanding with compassion and their God given gifts to serve and show love for others. I enjoy witnessing their compassion grow as well as their willingness to serve others as God guides them. Because BJU Press Homeschool is such a complete well-rounded curriculum, I am confident that my children will be equipped to do whatever God calls them to. BJU Press Homeschool curriculum is created for different learning styles and I love that I can tailor the curriculum to my children’s needs and the way they learn best. I have even been able to adapt it for my child who has specific learning difficulties due to a missing chromosome in every cell of her body. Because this curriculum has been such a blessing to our family, I am thankful I can help you save, maximize your benefits, and enjoy BJU Press Homeschool curriculum in your family! Testing & Evaluation and Logos Science cannot be discounted. Order 3 or more Distance Learning single subject kits and receive 25% off each kit! with coinciding distance learning whole grade kit orders or 50% off by subject with coinciding distance learning subject kit orders. No Interest Easy Payment plan on all orders $499 and over pay 30% down and the balance in six equal no-interest payments on your credit card. 3. Teacher Edition Bundles for $100 with coinciding distance learning whole grade kit orders or 50% off Teacher’s Editions by individual subject with coinciding distance learning individual subject kit orders. Host your own HomeWorks Event or workshop and earn 10% on orders placed at your event towards your own personal order! Active missionary families outside the U.S. can receive a 15% discount off BJU Press materials. Also, ask about Distance Learning options to extend the lease term. Information needed:  Your missionary board, sending church, and field/country of service. BJU Press Homeschool MILITARY, we appreciate your Service!!! U.S. Military members and their families can receive a 15% discount off BJU Press materials with a valid military ID. One free CCO course for one year up to 10 licenses. The co-op’s leaders must agree to attend a product presentation given by the consultant. I am happy to assist you with your order! I will call you with answers to your questions, get your payment information, and process your order. As a homeschool mom for over 10 years, I have learned how to identify and adapt to many challenges as I disciple and educate my five children at home. I would love to visit with you about your experiences, ideas, and hopes as I walk alongside you in support of your homeschool journey! It is a real joy and privilege to walk alongside each of you during this exciting journey of discipling and educating your children at home! As a HomeWorks by Precept consultant, I am thankful that I can help you with your homeschool questions, help you come up with practical solutions, lend a shoulder, and join beside you in prayer. I am also thankful that I can help you save on your BJU Press Homeschool curriculum as well as provide year-round support and encouragement while you use this scripturally woven curriculum to disciple and educate your children at home. Let us walk this journey . . . together! I have 5 children ranging from ages 5-18. Utilizing a combination of the BJU Press Homeschool DVD distance learning, online distance learning, and parent-led learning affords me time with each of my children. I am also able to address any needs that arise while still maintaining confidence that my children are getting a well-rounded solid Biblically based education that will prepare them for whatever God calls them to! 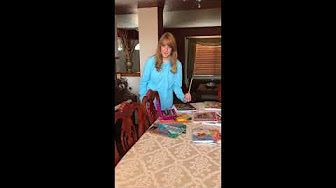 Along with homeschooling our children, I enjoy creating and presenting helpful homeschool workshops, writing, running a local art co-op, and participating in local Christian homeschool group activities. Schedule a casual meetup in your home, church, coffee shop, or other public setting! during the registration process AND the ordering process. This will allow me to receive credit for your order and also help you with your future needs. If you remember to give my name, I will automatically be emailed a receipt of your order and will send you a $10 Amazon gift card if your order is over $500 before tax. Take the Iowa Assessments™ Form E achievement test online from the comfort of your own home! View online testing dates >>> here. *Order tests a minimum of three weeks in advance to ensure availability. Logos Science offers all-in-one laboratory kits that help homeschool educators overcome the difficulty and cost associated with setting up science experiments at home. 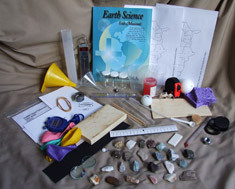 Logos Science kits are written from a Creation viewpoint and correspond well with BJU Press Homeschool curriculum. We love the JourneyForth books in our family because we can trust that the content will align with our Christian values. You may personally enjoy the adult Bible studies and encouraging books too. I have read several of their age appropriate books with my children and enjoyed a few Bible studies myself. Click >>> here <<< for a look at BJ Booklinks which are fun studies of chapter books. Our family loves them. They are included with your distance learning reading orders for grades 1-6. (You will need to order them separately when you order parent- led textbook kits). With the Study Skills for teens DVD, your students will learn how to schedule the right amount of study time for each class and how to get the most out of a study session. My children have grown to understand the importance of pairing their knowledge and understanding with compassion and their God given gifts to serve and show love for others. I enjoy witnessing their compassion grow as well as their willingness to serve others as God guides them. BJU Press Homeschool curriculum is created for different learning styles and I love that I can tailor the curriculum to my children’s needs and the way they learn best. I have even been able to adapt it for my child who has specific learning difficulties due to a missing chromosome in every cell of her body. No Interest Easy Payment plan on all orders $499 and over pay 30% down and the balance in six equal no-interest payments on your credit card. 3. Teacher Edition Bundles for $100 with coinciding distance learning whole grade kit orders or 50% off Teacher’s Editions by individual subject with coinciding distance learning individual subject kit orders. Active missionary families outside the U.S. can receive a 15% discount off BJU Press materials. Also, ask about Distance Learning options to extend the lease term. Information needed: Your missionary board, sending church, and field/country of service. BJU Press Homeschool MILITARY, we appreciate your Service!!! One free CCO course for one year up to 10 licenses. The co-op’s leaders must agree to attend a product presentation given by the consultant.